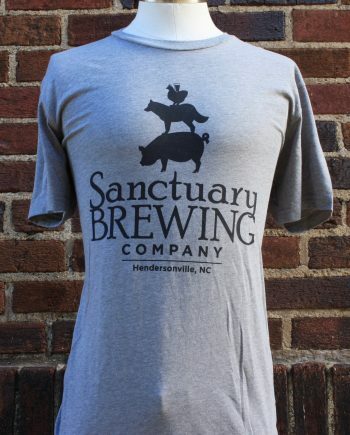 This is 60% combed ring spun cotton, 40% polyester and is super soft and has minimal shrinkage (typically under 5%). 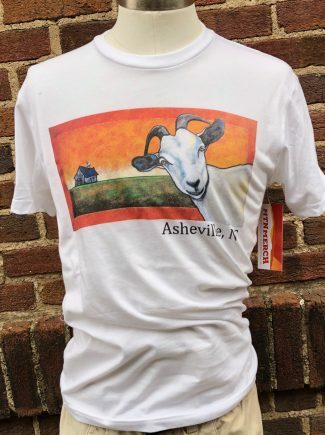 On the front is a simply drawn bicycle outline with a mountain motif in the front wheel and “Asheville” printed in the bicycle. 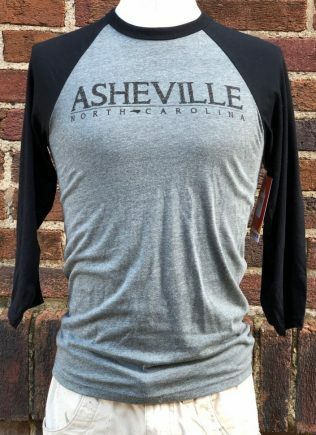 On the back of the neck it says MTN Merch small under the collar. 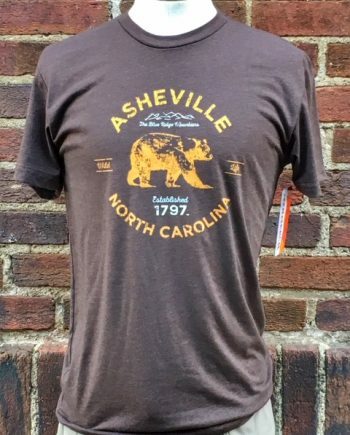 We offer this shirt in tan with the print in brown, or a brown t-shirt with off-white print. 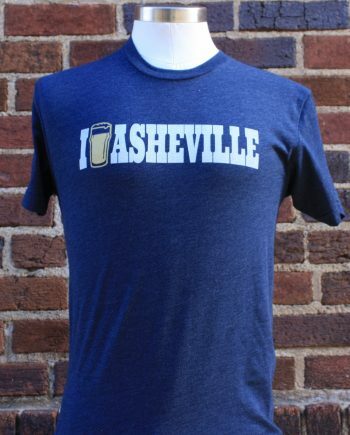 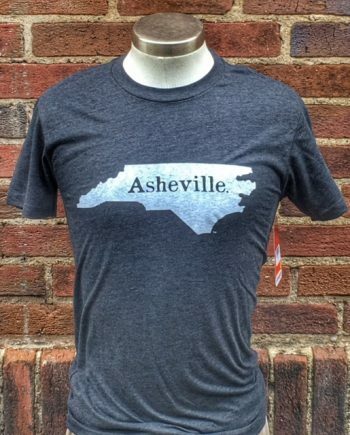 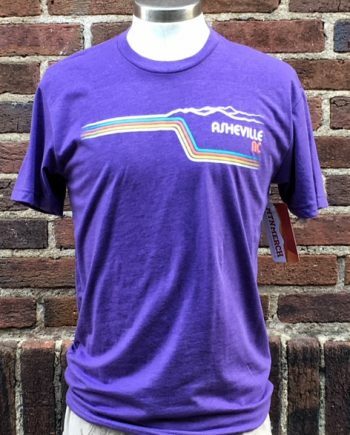 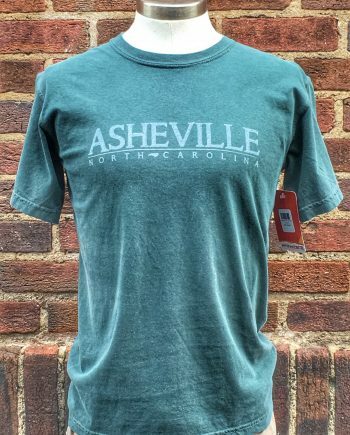 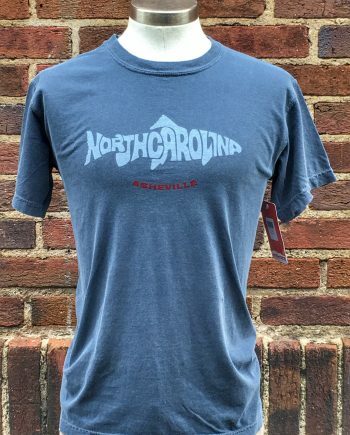 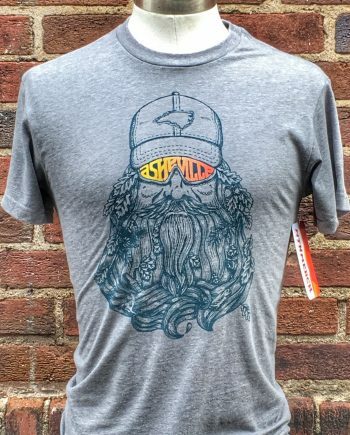 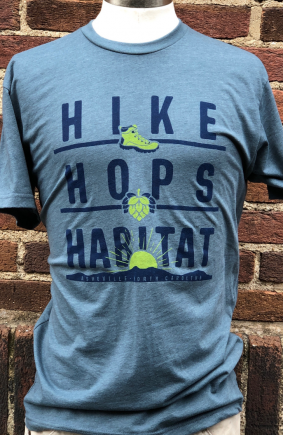 Asheville Bike T-shirt for all of you two-wheeled fans! 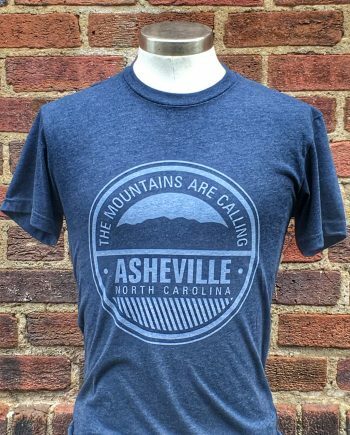 If you haven’t noticed, Asheville and bicycling go hand-in-hand, but biking in these mountains is not for the faint of heart! 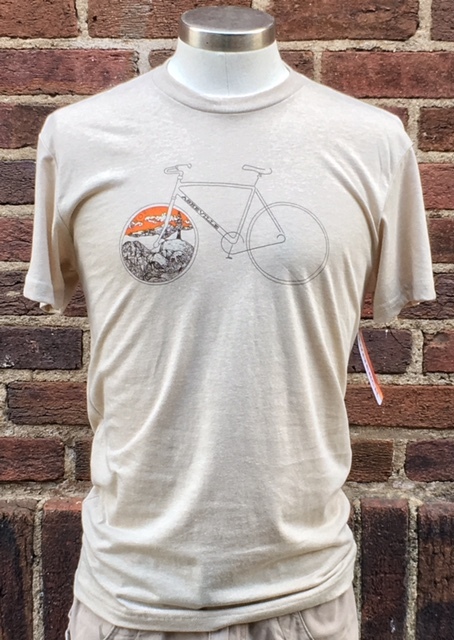 Grab one of our unique bike tees to show your love and dedication.